Hilo on the east coast is the island's capital and the largest town. Almost all the rain that falls on the slopes of Mt Maunea Kea flows to the sea on the eastern side of the Big Island. 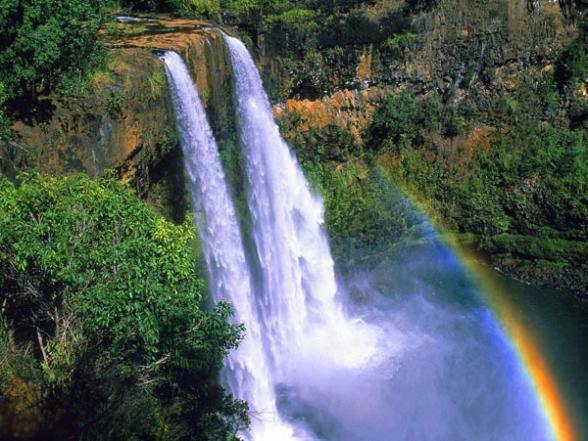 Hence, this side of the Big Island is alive with waterfalls, streams, dense jungle-like vegetation. Hilo, is an interesting historic town, known as America's wettest city it blazes with orchids (the largest orchid industry in the world is located here) and tropical plants. 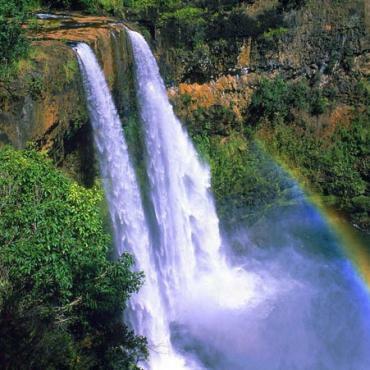 Call Bon Voyage to discuss a two centre stay on the Big Island, each coast has something different to offer you. Private oceanfront luxury 8 room bed & breakfast. If you want a unique experience, this is the place for you! Wake up on the rim of Kilauea, one of the world's most active volcanoes. This is one of those places where it isn't about the room - not even a little! Boasting an oceanside location with magnificent views of Hilo Bay this friendly hotel is close to many local attractions.